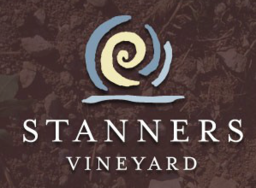 Stanners Vineyard is a family venture that began in 2003 with the purchase of a parcel of farmland near the village of Hillier in Prince Edward County. The "terroir", that is, the soil, terrain and weather, seemed ideal for our quest to produce a Pinot Noir that would be the rival of any in the world. We love Pinot Noir, making this quest a pleasure as well as a challenge. It is believed that the best Pinot Noir is made from grapes grown in the most northerly terroir that can actually produce and ripen the grape.